Toyota Corolla Touring Sports Review 2019 | What Car? For what felt like decades, diesel estate cars were the go-to vehicle for families who want something relatively frugal but with lots of space. But times are a changin’ and, with diesel power losing favour with the buying public, families are increasingly looking for an alternative. But what do you do if the petrol estates you’ve looked at aren’t frugal enough, you don’t want a family SUV and a pure electric car simply won’t fit into your lifestyle? 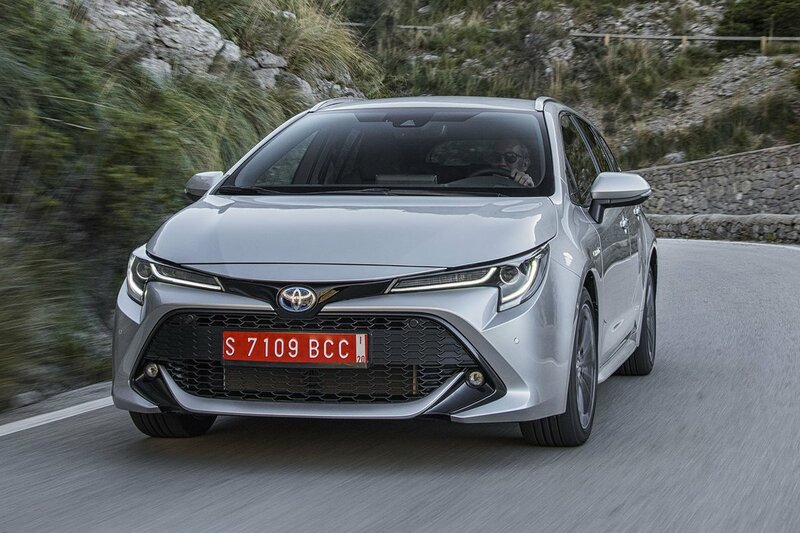 Well, Toyota might have you covered with its Toyota Corolla Touring Sports – a self-charging petrol hybrid. But what does that mean, exactly? Well, unlike plug-in hybrids, which need to be charged up overnight in order for their electric motors to save petrol and reduce emissions, the Corolla Touring Sports is a hybrid that recharges its battery as it drives along. You simply treat it like a regular petrol car and it'll top up its battery automatically when it has energy to spare. It can then decide for itself when deploying the electric motor will help to improve economy or increase performance. When it comes to CO2 emissions and, officially at least, fuel economy, this approach to taking advantage of electric power certainly delivers some impressive numbers. 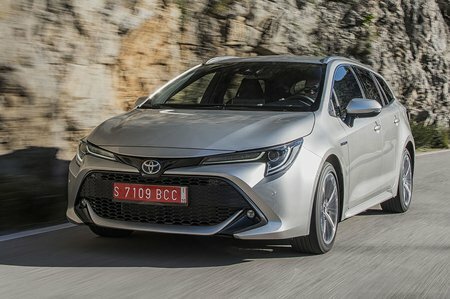 And – thanks to tax advantages – the Corolla Touring Sports will prove much cheaper to run as a company car than any of its diesel rivals. Another way of seeing it is that the Corolla Touring Sports combines many of the advantages of Toyota’s own Prius with far more conventional looks and a far bigger boot. But how does it square up as an estate car, and how does the Touring Sports compare with conventionally powered family favourites that include the Ford Focus Estate, Volkswagen Golf Estate and Skoda Octavia Estate? Stay with us over the next few pages and we’ll tell you all you need to know. And don’t forget, if you want to buy a Toyota Corolla Touring Sports, or indeed any other car, head over to our deals section to find out how much you could save without any awkward haggling.